Easy Chimichurri Tacos will have you wanting taco night every night! These Chimichurri Tacos are an easy weeknight meal you will make again and again! 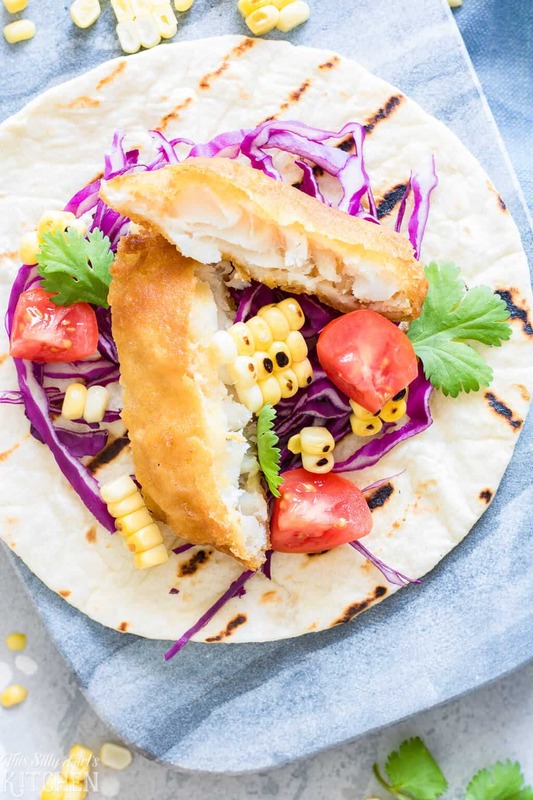 Fish Tacos are a staple here in Florida, but often they can seem a little intimidating. This is a sponsored conversation written by me on behalf of Young’s Seafood, all opinions are my own. 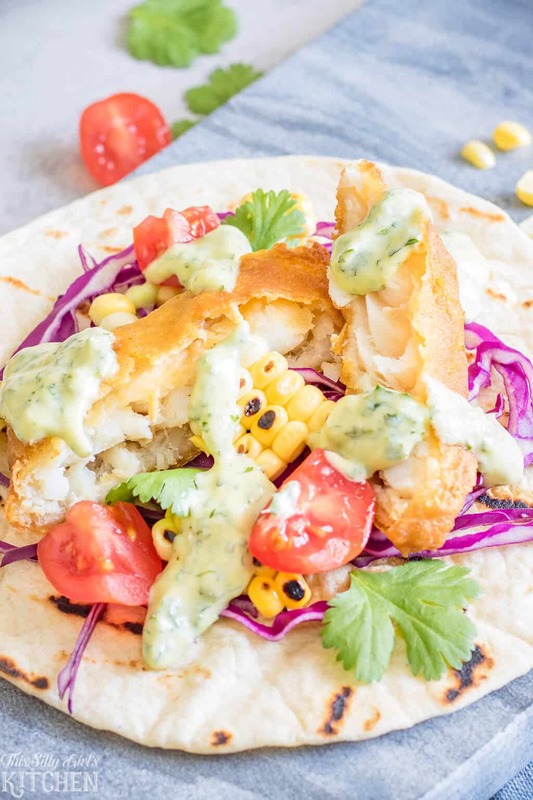 To make these easy fish tacos I used Young’s Seafood Crispy Battered Cod Fillet and Chips. The cod fillets bake up super crispy in the oven in just over 20 minutes. I found mine at my local Walmart in the freezer section, they also offer more varieties like Two Cod Fillets in Beer Batter, Two Haddock Fillets in Crispy Batter, and fun Flipper Dippers! 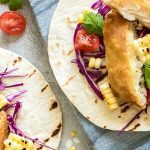 They are great on their own as a meal, or you can make fish tacos like I did with a delicious chimichurri cream sauce!! While the fillets are cooking you get together your toppings and boom, you have dinner ready in under 25 minutes! I use the chips as a yummy side dish. They bake up crispy and delicious are perfect dipped in the creamy chimichurri sauce! I do suggest making my creamy chimichurri sauce the day before, this helps for all the flavors to mingle and become extra yummy! Putting together these tacos really can’t get much easier with Young’s Seafood. They have done the hard part for you, frying up the fish! All you do is bake the cod and put slices in tortillas. 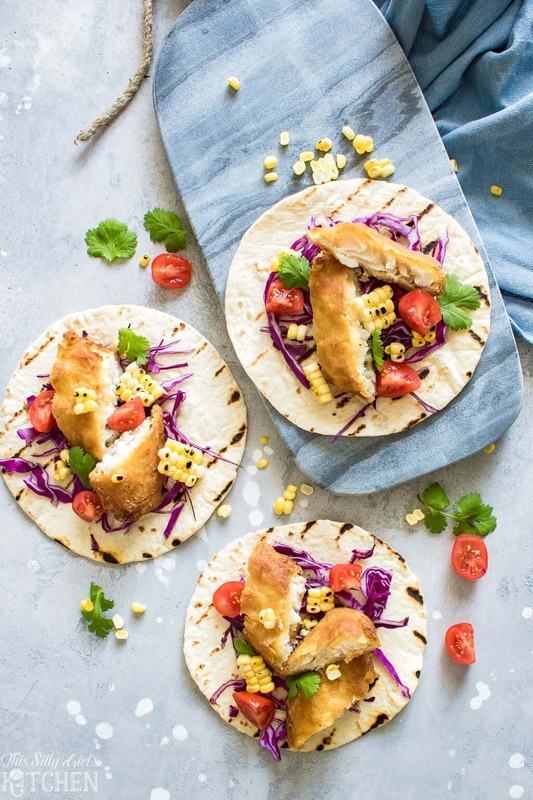 I suggest using some more fun toppings like shredded purple cabbage and roasted corn, it is unexpected and adds extra layers of texture and flavors to these colorful tacos! 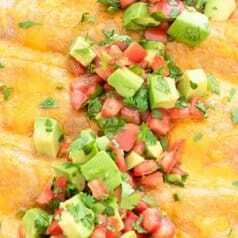 Need an easy sauce for fish tacos? Look no further! The brightness of the creamy chimichurri really makes these tacos pop with flavor! It is SUPER easy to make too! In a food processor, add the fresh parsley and cilantro. Pulse a few times to chop it up. Add roughly chopped garlic, red wine vinegar, salt, and pepper. Pulse until combined. Turn the food processor on and slowly drizzle in the olive oil. Set aside. 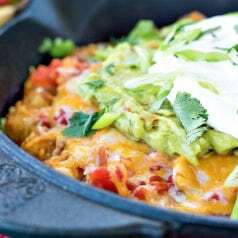 In a large bowl, add the sour cream. Whisk in the chimichurri into the sour cream until smooth. Cover with plastic wrap and place in the fridge overnight. Bake up your easy and delicious cod filets. Slice and assemble your tacos! 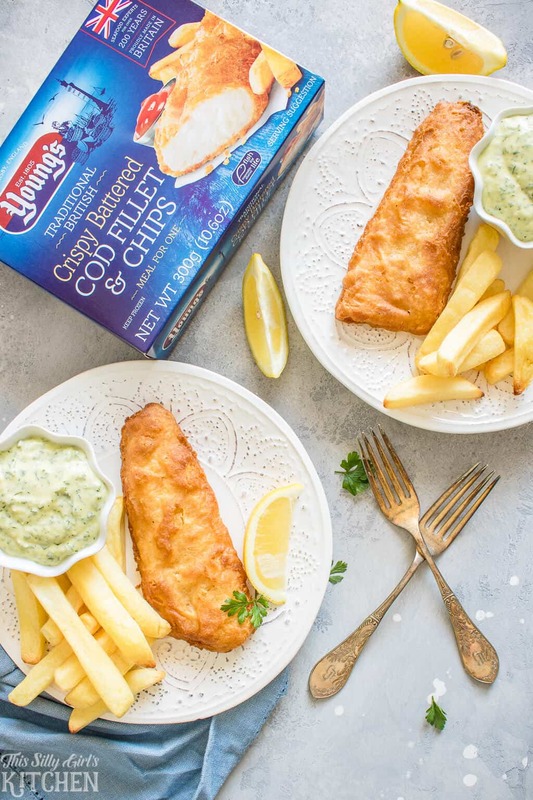 Young’s Seafood is bringing the classic flavors of the British Chip Shop here in the US. They are the number one seafood brand in the U.K., so you know they definitely know a thing or two about fish and chips! 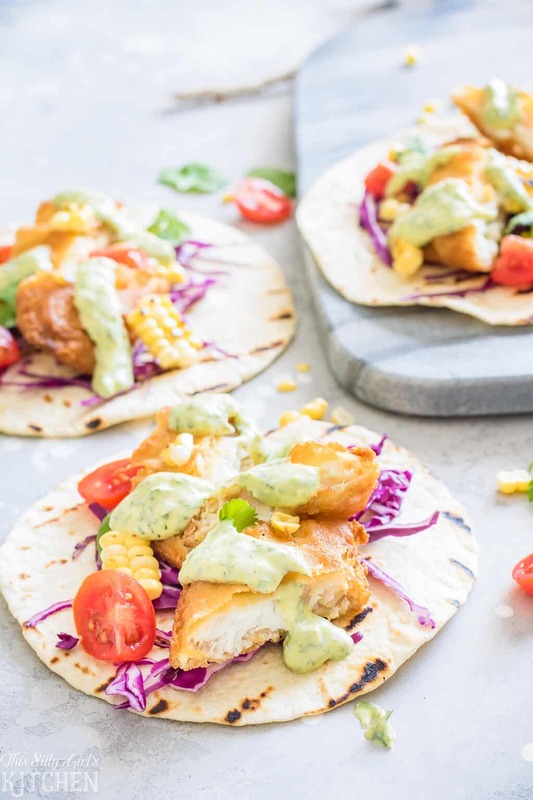 Mix up your weekly menu with unexpected fish tacos! Chimichurri is made of parsley, cilantro, garlic cloves, olive oil, and red wine vinegar! Don’t forget the creamy chimichurri to really take these tacos to the next level! If you don’t have time to make the sauce though, don’t worry, a squeeze of lemon and a little sour cream is all you need! 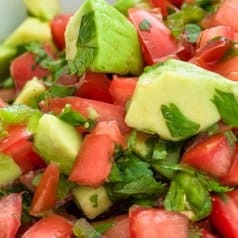 Make sure to check out my delicious tomato salad, skirt steak tacos, and avocado salsa if you like this recipe! 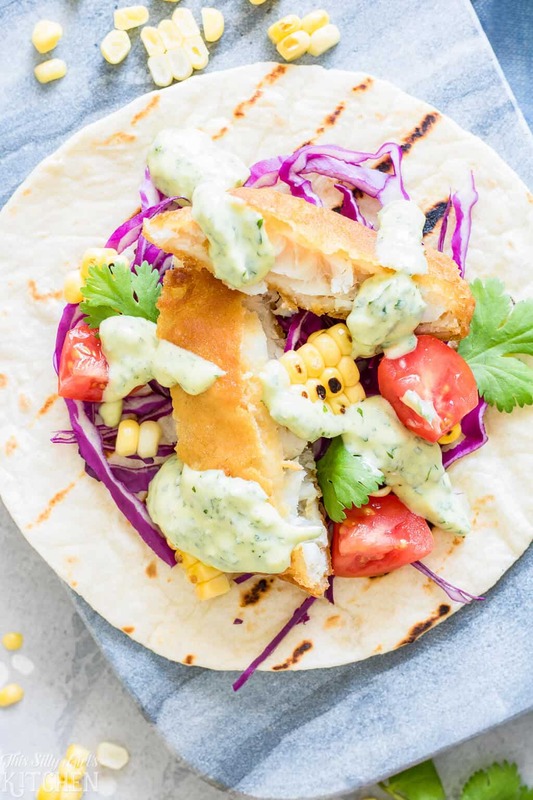 These fish tacos are so easy, you don’t need a recipe. Just follow the directions on the back of Young’s Seafood box and get together your favorite taco toppings. It’s that easy! 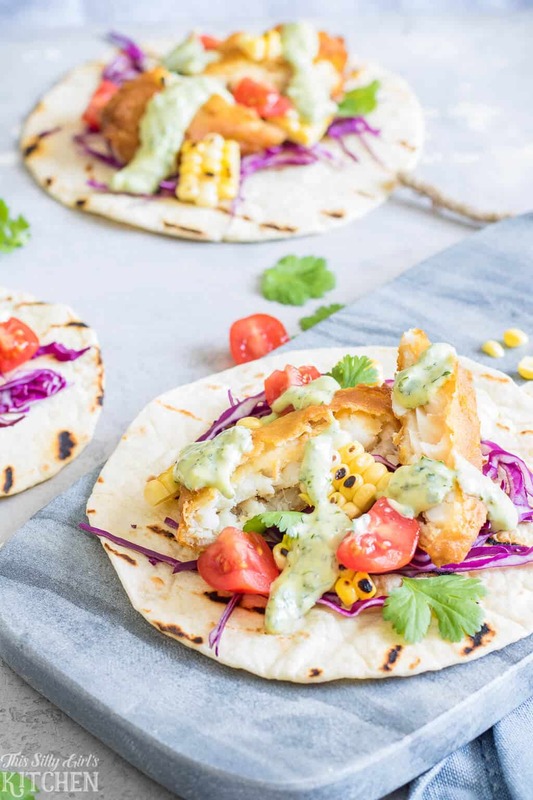 Chimichurri Tacos, Easy Fish Tacos with Creamy Chimichurri Sauce, an easy weeknight meal you will make again and again! Place the parsley and cilantro into a food processor. Pulse until rough chopped. Assemble tacos with a good helping of the Chimichurri Sauce! *Be careful, if your food processor does not have a good seal, the liquid might splash out. I suggest wrapping a towel around the top just in case. **The longer it sits, the better it is! I can’t wait to try this one – that chimichurri sauce sounds so good! Oh, this is a perfect mid- week meal! I’m all about easy and delicious meals. Your chimichurri sauce looks finger-licking good! I love crispy fried cod but I don’t make it cuz I’m a little unsure about frying fish at home but you’ve sold me on this recipe! It sounds awesome! And so easy..Thanks Dana!